Hosmer Lake Campground (also known as South Campground) is next to beautiful Hosmer Lake with views of Mt. Bachelor. There is no potable/drinking water so bring your own. The campground has vault toilets. Campsites can accommodate tents, trailers and RVs. Each campsite also has a table, fire ring and grate. Sites 11-18 are first come, first-serve and the others are reservable. Our favorite campsites are: 3, 4, 8, 10, 11, 12, 13, 14, 18 and 20. The lake does a boat ramp for canoes, kayaks and boats with electric powered motors. The lake is “fly fishing only”. The area also has great hiking, biking, horseback riding and wildlife viewing opportunities. Don’t forget your camera as there’s also spectacular photo ops here. Little Fawn campground is just a few miles away and there is water here (hand pump). The campground has 20 campsites. Visted Hosmer Lake Campground lately? We'd love to hear about your adventure. Did you find us useful? Did we forget something? Anything our community should know before heading out to Hosmer Lake? I am trying to get to hosmer website to book a rez for aug 16-19 for 4 sites. It kerps routing me to lava lake. Help me please to find hosmer booking. Sorry about that. We’ve fixed the link to make reservations at Hosmer Lake (South) Campground. Click HERE to visit the Hosmer Lake campground page, then click on the ‘Make A Reservation’ button to check availability/make a reservation. Wondering why several campsites don’t show up on the reservation site for Hosmer lake – ie. #11- 18??? Hosmer Lake campsites 11-18 are first come, first-serve and the others are reservable. 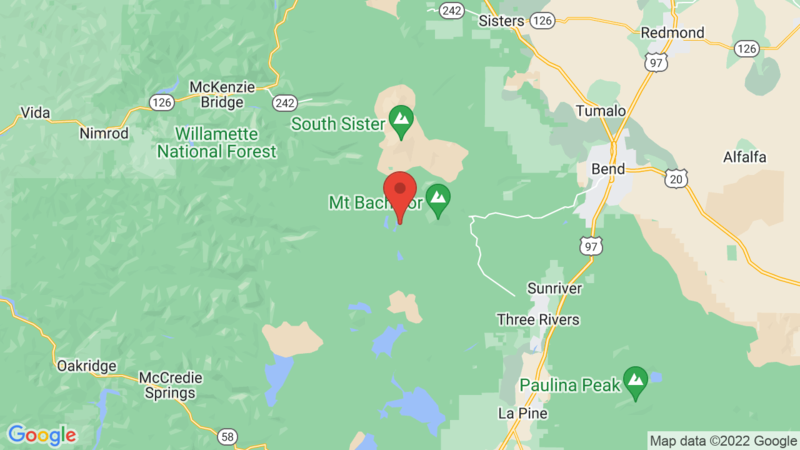 Are there any ( small) RV campsites that are down by the lake, and overlooking Mt. Bachelor? South Campground – Hosmer Lake Campground is located right next to the lake and most all of views of the lake/water. We’re not sure which ones have views of Mt. Bachelor.